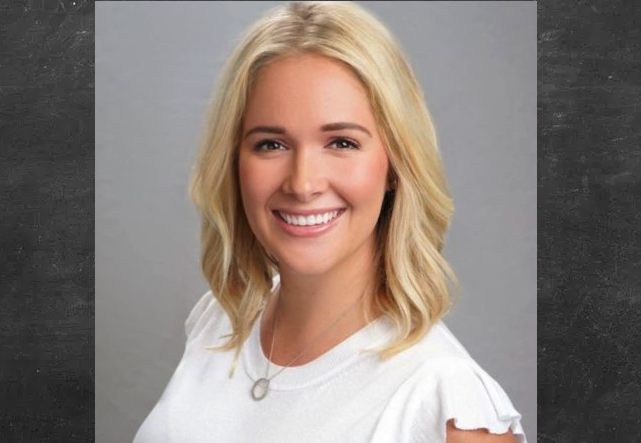 After two years with Coldwell Banker, Courtney Michalek has joined Iconic Real Estate. 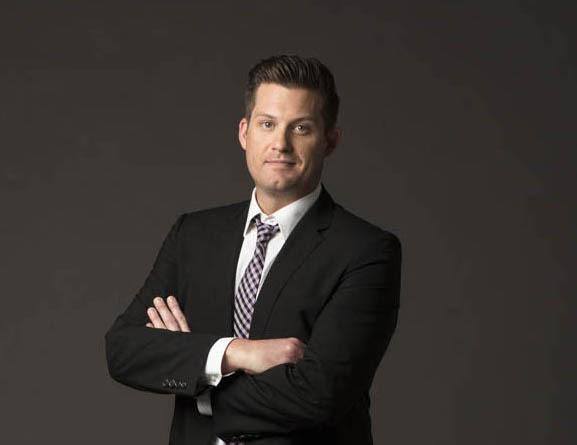 Matt Scobee founded the firm last year. Michalek said she decided to make the move within five minutes of meeting with him. Michalek previously worked in technology sales. Unhappy with the direction of that career, she decided to pursue real estate. Her fiancé was developing properties in the Cedars, so she started off marketing and selling them. Before long she became one of the neighborhood’s most active agents. Because of its size, Midway Hollow is still one of those neighborhoods that probably has something for just about anyone. Bordered by Walnut Hill, Midway Road, Northwest Highway, and Marsh Lane, you can find homes in price points as low as $250,000 all the way to the millions. This week, we’ve found three houses in three different price points in the bustling, hot neighborhood of Midway Hollow — all having open houses this week. 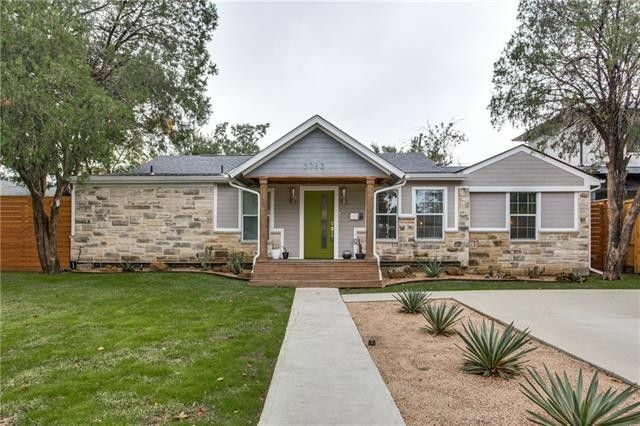 You’re going to want to make time to visit the three houses we’ve found for our CandysDirt.com Open Houses of the Week column, which range from $439,000 to $1,095,000. Local agent Matt Scobee left Clay Stapp + Co. after five years to start his own brokerage, Iconic Real Estate. The new firm, which started with an initial team of five agents, is located at 3111 Canton Street on the outskirts of Deep Ellum. We’re thrilled to get a close-up look at the latest completed home from small-batch custom builder The Avant Group. These stunning contemporary homes from this CandysDirt.com Approved Builder have so many great touches and luxe upgrades that you’ll quickly see why this builder has made a name for himself. 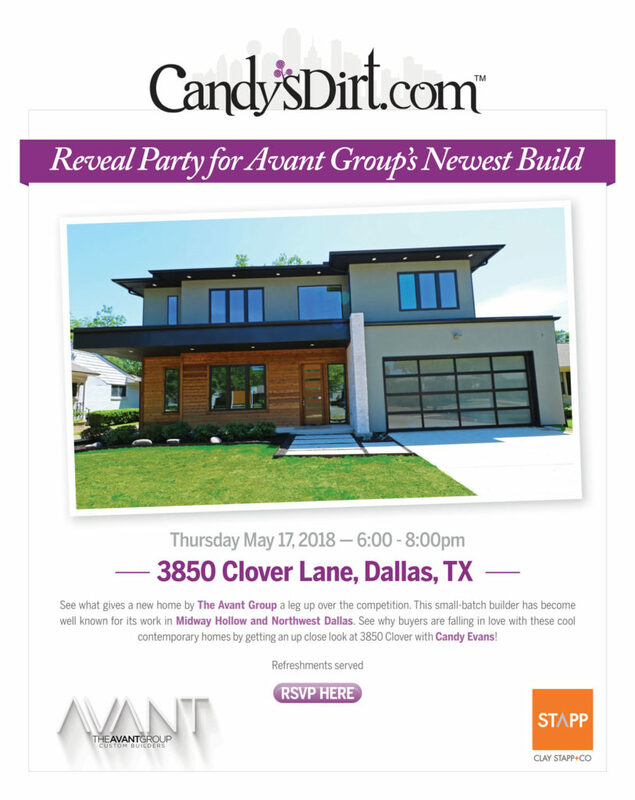 Co-hosted by star agent Matt Scobee with Clay Stapp + Co., you won’t want to miss this reveal party tomorrow, May 17, from 6 to 8 p.m. Click on the invitation to RSVP now! When you enter an Avant Group custom home, there’s a certain atmosphere of sleek sophistication and glamour that you can expect. That’s not a coincidence, says Heaven Porteous, who oversees this small-batch builder’s design and finish-out. 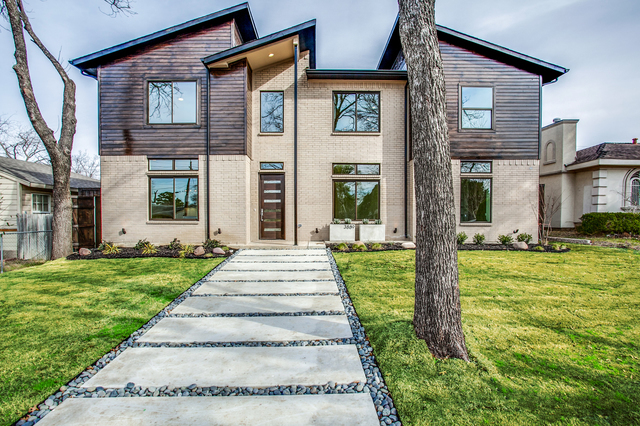 Their latest spec home on the market in Northwest Dallas’ Ridgecrest Village neighborhood (north of Northwest Highway and west of Midway Road) perfectly shows off the ease-of-living and contemporary aesthetic that has attracted families to the brand in droves. 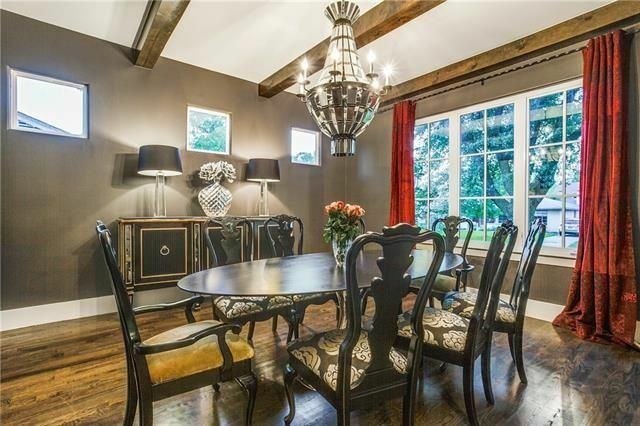 Sure, this soft contemporary with modern influences has some trendy fixtures and finishes. Take the roofline and the stained wooden siding, easily visible from the curb of 3889 Cortez Drive — it’s easy on the eyes and offers clean lines and the brand’s midcentury modern-influenced elevations. 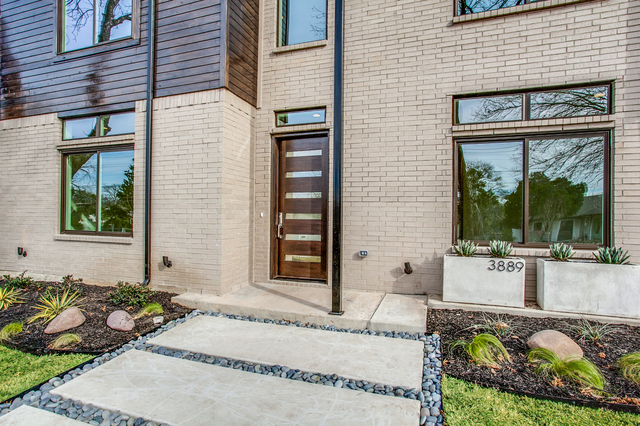 But what you don’t see from the curb is the glorious, glamorous details just behind that contemporary front door. 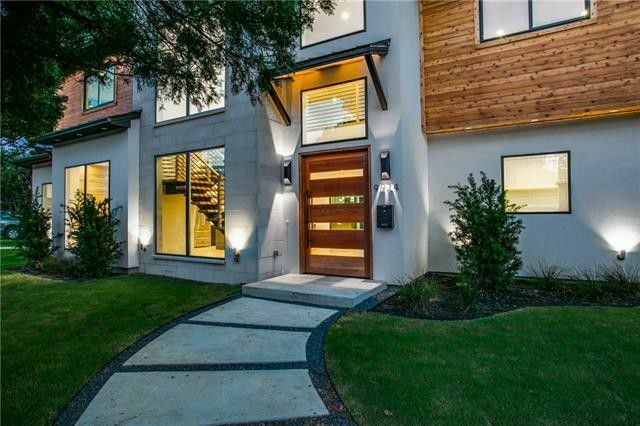 The contemporary stunner at 6959 Dalhart Ln. in Bob-O-Link Downs is a thing of beauty, and it’s one of our five featured open houses this week. Every week, we pound the pavement to find you the best and most marvelous DFW open houses that weekend. It’s Thursday, so it’s time to show off what we’ve found. Today in the CandysDirt Open Houses of the Week column, we’ve got five homes that range from $230K to $1.049 million, including a a Santa Monica/Hollywood Heights Tudor with quintessential charms, a modern marvel in Uptown, and the contemporary Bob-O-Links Downs stunner, located just west of White Rock Lake (pictured above). Let us know what you think of our choices and if you know of any open houses we should feature next week. We recently wrote about how the Dallas suburb of Farmers Branch is undergoing major changes, Farmers Branch Renaissance Turning Once Sleepy Suburb Into Vibrant City. The housing stock in Farmers Branch used to be a little meh. But no more. We’re seeing incredible properties, both new construction and stunning renovations, like our Thursday Three Hundred, located at 3712 Blue Trace Ln., near Valley View and Marsh lanes. It was remodeled in 2013 and the results are simply marvelous. 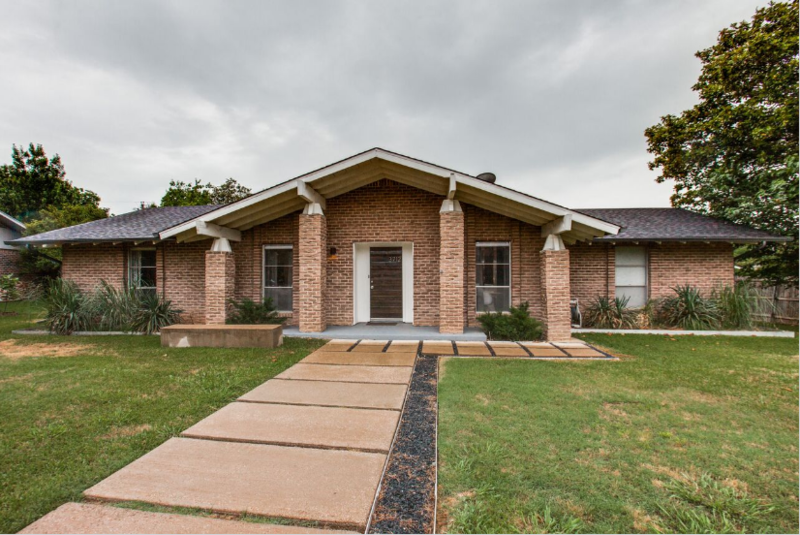 This is a 3-2 with 1,805 square feet, built in 1968. The living, kitchen, and dining areas were opened into one great room. Every room in this house has something remarkable about it, and the overall feel is soft contemporary and very stylish. It is listing today by Matt Scobee with Clay Stapp + Co. for $314,900.